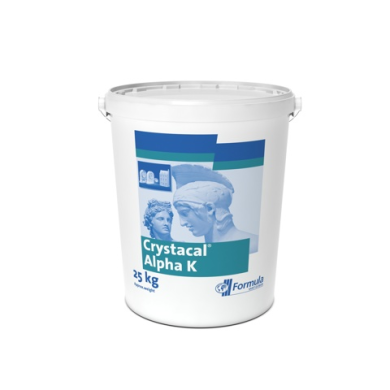 Crystacal Alpha K Plaster - Industrial Plasters Ltd.
Crystacal Alpha K is very hard, high quality casting plaster produced from naturally occurring high purity gypsum mineral. It is off-white in colour and is used for the production of fine detailed and high strength giftware and models. It is ideal for the manufacture of small models such as chess pieces and reproduction special artefacts which get constant handling. Its exceptional high strength, surface hardness and very low expansion give excellent reproduction of the finest detail. Supplied in plastic drum allowing for easy clean storage.